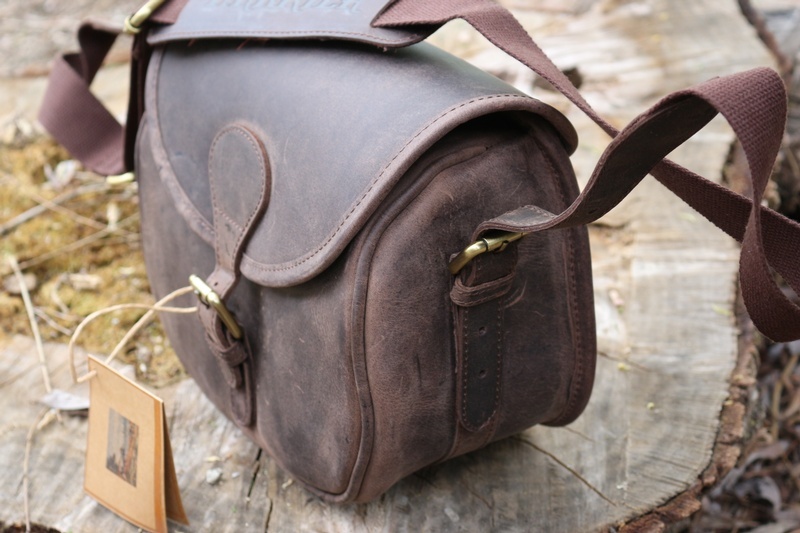 This traditional British design of Cartridge bag has been in use for 100 years, allowing a large amount of shotgun ammunition (approx 125 rounds of 12G) to be carried on driven Pheasant and Partridge shoots. 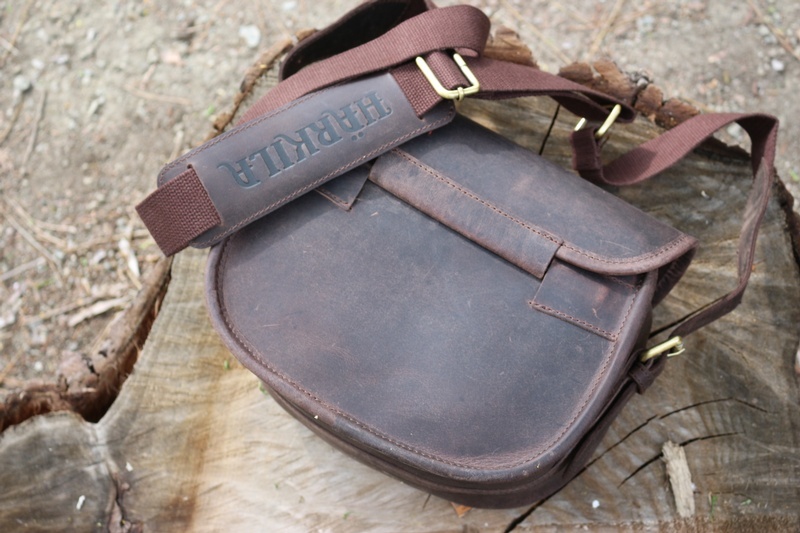 However the excellent design was soon adopted a range of Outdoorsmen to carry not only ammunition but a range of outdoor and Survival essentials, very similar in fact to a 'Possibles Pouch' of North America.The shape is similar, with the overflap and the curved bottomed design allowing for easy of retrieval of items. This very high end item is made from thick waxed, full grain leather, Brass fittings and thick shoulder Pad. 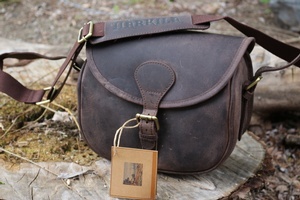 Purchase through PayPal by using the "Add To Cart" button above or use the form below to order the Harkila Leather Cartridge Bag . 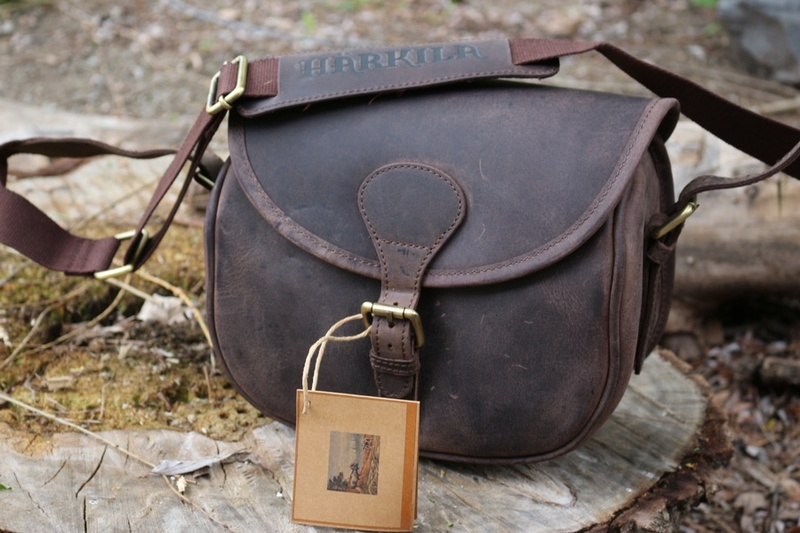 Feel free to contact us if you have any questions about the Harkila Leather Cartridge Bag .